Wherever you choose to wander in Naples – down Via dei Tribunali, in its historic quarter, where washing hangs from lines overhead and teenagers zoom past on Vespas, or along the sprawling Spaccanapoli, the immensely long road that knifes Naples in two – you’re never far from one of the city’s most important landmarks: a pizzeria. The dazzling opera house in Via San Carlo might be a must-see, and you can’t miss the atmospheric Spaccanapoli district, as mentioned before. And yes, every single one of Naples’ 445 churches and excellent museums are scandalously beautiful. However, you’ll find the city’s daily life revolving around its new-style pizzerias, such as Pizzeria 50 Kalò (rough translation: ‘good dough‘) on the Piazza Sannazzaro. Order a glass of chilled falanghina (the local white wine) and go for a pizza made with the local mozzarella di bufala, which the warm and grassy Campania region has produced using its resident buffalos’ milk since at least the 12th century. Look out for signs saying ‘caseifici’ (cheesemaker), where you can watch it being produced in all its shapes, including braids, beads and knots. 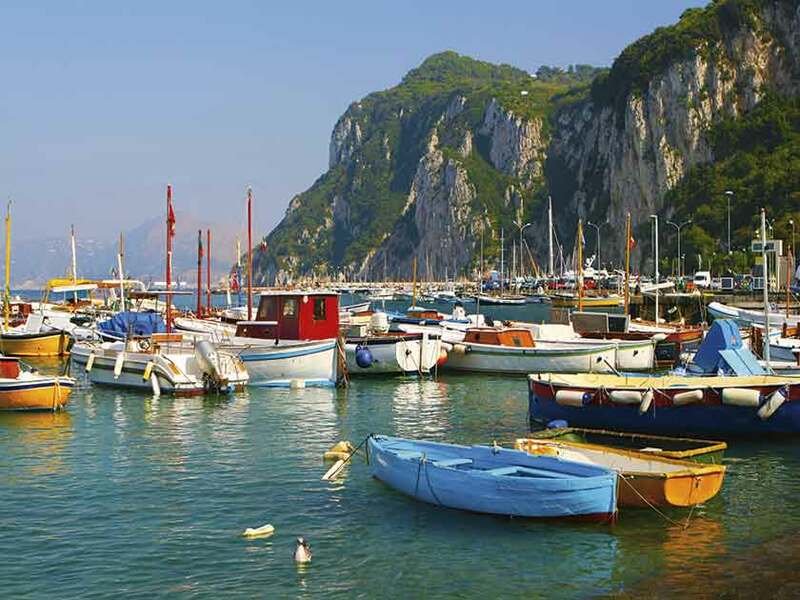 For a day’s excursion, catch any one of the 40-minute ferries from Naples across the Bay (of Naples), to the three islands of Capri, Ischia and Procida. Glamorous Capri is the best known of the trio. Home to both the bluest waters you’ll ever see and classic Italian designer shops, it’s welcomed famous residents, such as Gracie Fields and Graham Greene, to its own version of la dolce vita. Meanwhile, just under the tourist radar, Ischia and Procida offer more of an Italian-style bucket-and-spade experience. Fertile Ischia boasts the famous La Mortella gardens, created by Susana Walton (wife of the British composer William Walton), which were started in 1958 after the couple settled here. 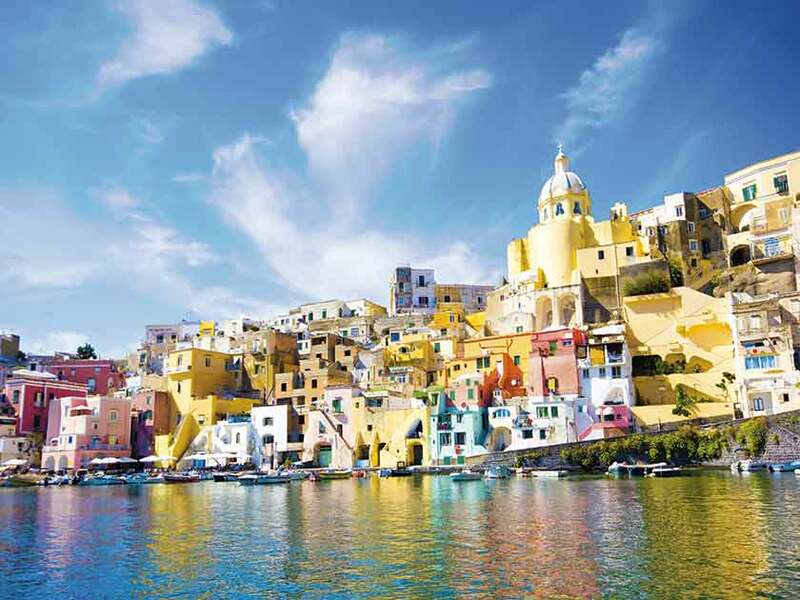 Procida is dotted with fragrant lemon groves and pastel-coloured houses, where you can watch fishermen mending their nets by hand. Resist the temptation to hurry between the islands – all three are easily connected by daily ferries and hydrofoils – and instead, stay longer to soak up the individual character of each. The most visited route in Campania is the Amalfi coast (Costiera Amalfitana), a 25-mile stretch of coast road that winds from the town of Sorrento to Amalfi. The road literally hugs the cliffs and, in parts, is only slightly wider than two cars passing each other side by side. If you’re not the most confident driver, it can seem quite daunting, so you’re better off choosing to go in May or mid-September to October, when the road is less crowded and not peppered with lumbering tour buses. Equally, you could take one of the many daily coach tours. 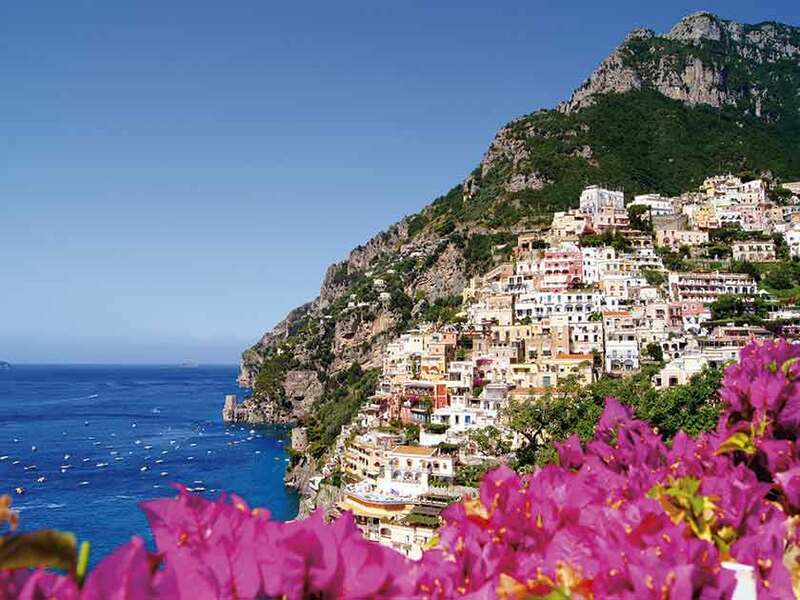 Less eye-catching than other Amalfi villages, the city of Salerno tends to be off most visitors’ itineraries. However, although it’s not part of the coastal road, it’s within easy reach and makes a good base. Hotel prices here are generally cheaper and the bustling Corso Vittorio Emanuele offers plenty of bars and cafes around the lively port. Sorrento, a place to see and be seen, has a resort feel to it, but without any high-rise hotels. While there’s no beach – just a tiny outcrop of sandy shingle – it’s well worth a wander along its two ports to explore the shops or to pause and sample the local limoncello lemon liquor. The town of Amalfi is the big sister to Sorrento, tremendously popular, with its buzzy sun-filled piazzas, small beach and spectacular cathedral. 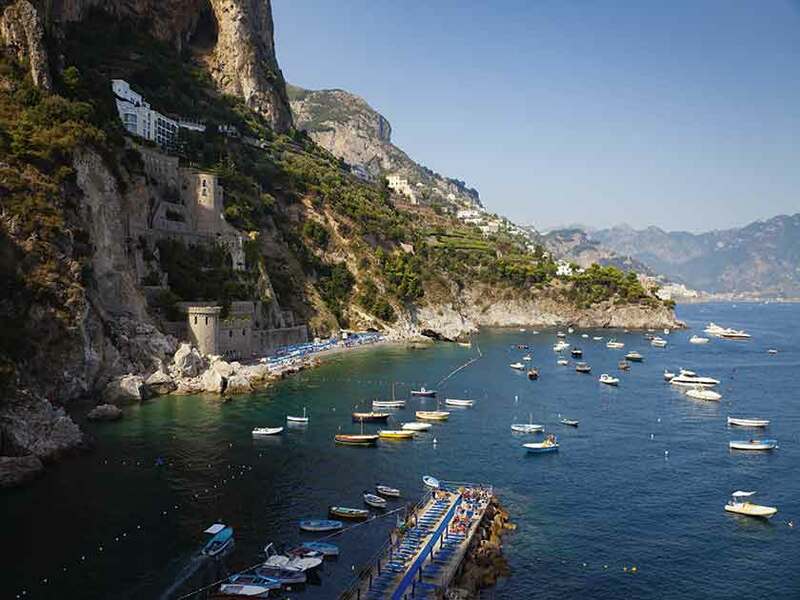 However, it’s the small accessible coastal towns strung along the 19 miles of road between the two resorts that reflect the simpler and quieter spirit of Amalfi. 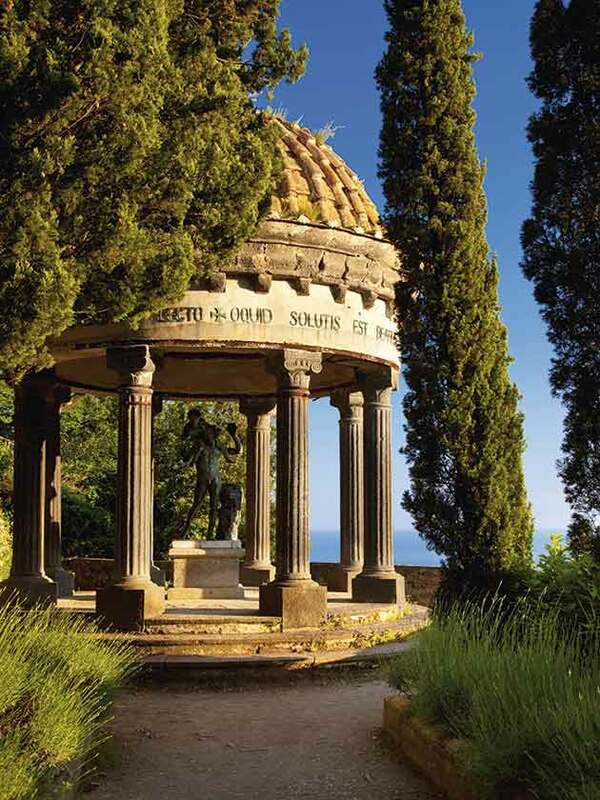 Perched like an eagle’s nest high up in the hills, Ravello has the best views across the coast; choose between the gardens in the Villa Cimbrone or Villa Rufolo. 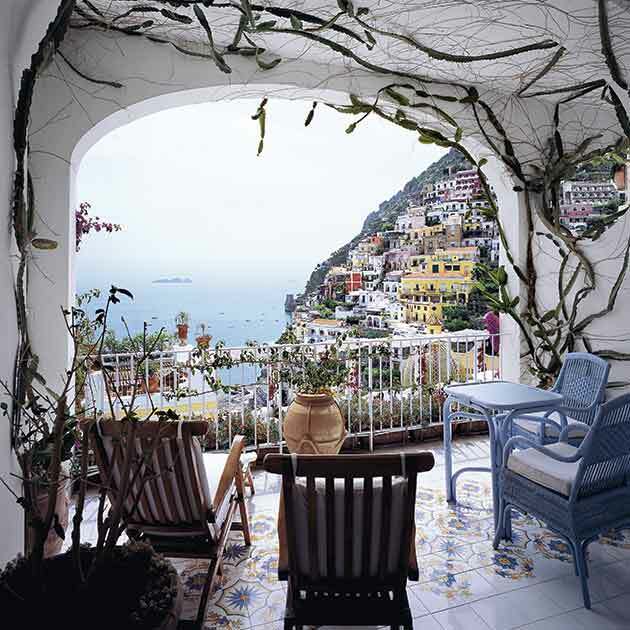 Or linger awhile in Positano village, again perched precariously, but this time over a cliff gorge, taking in its pastel houses, steep higgledy-piggledy streets and flower-bedecked balconies. One thing’s for sure – flat shoes are a must here! Try to arrive just before sunset at the Hotel Le Sirenuse in Positano (sirenuse.it) and order a cocktail or glass of Prosecco (Italian sparkling wine), while sitting at a table on the terrace. Locals consider the hotel to have one of the best views to watch the sun set over the Gulf of Salerno. Every seaside town has a sign reading Noleggio barche (boat hire) where, for around €21 (£15) an hour, you can become captain of your own motor launch. Many parts of the coast are only accessible by boat, so you can weigh anchor and have an entire beach to yourself. Always make sure there are life jackets provided on board. A network of buses runs along the Amalfi coast, allowing you to visit nearly all the main coastal sights for just a few pounds. One of the best trips is from Sorrento to Conca Dei Marini. Get off at Conca and walk down through the old town and on to the beach, where a clutch of hotels and restaurants serve freshly caught fish (sitabus.it). 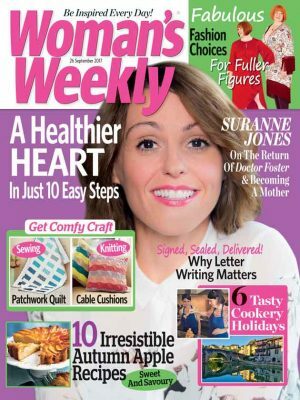 Book your trip to Italy in the Woman’s Weekly travel shop. 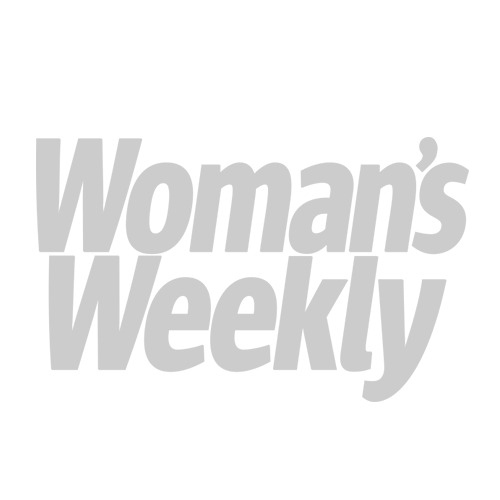 Love Italian islands? Discover the splendour of Sardinia.